In the meantime, here are nine of Simonetta Capotondo's best bits of advice when it comes to making your own pasta at home. The Italian word for a sheet of pasta is sfoglia—a sfoglina refers to an Italian woman dedicated to the craft of making and rolling out pasta. Recently, I got to meet a real sfoglina—and not just any ordinary one. Simonetta Capotondo is one of the best hand-rolled pasta makers in Italy. That’s not hyperbole. She was the runner-up in the Sfoglina d'Oro pasta making competition in Bologna in 2011, and now she travels the world teaching people how to make beautiful noodles. Watching her roll out pasta is mesmerizing; witnessing her shape and fill and tuck everything from pappardelle to ravioli is nothing short of captivating. This year, Capotondo started working with F&W Best New Chef 2002 Fabio Trabocchi at his Washington D.C. restaurant called, aptly enough, Sfoglina. Capotondo trained the staff and she makes repeat visits to teach classes to the public there as well. Capotondo resides in Italy, but in 2019 she will be taking up residence in D.C. and working/teaching at Sfoglina full-time. The restaurant menu is jam-packed with fresh pastas like Roman tonnarelli noodles with sheep’s milk pecorino, fresh black pepper and lemon zest, and goat cheese caramelle ravioli with arugula and tomato. 1. 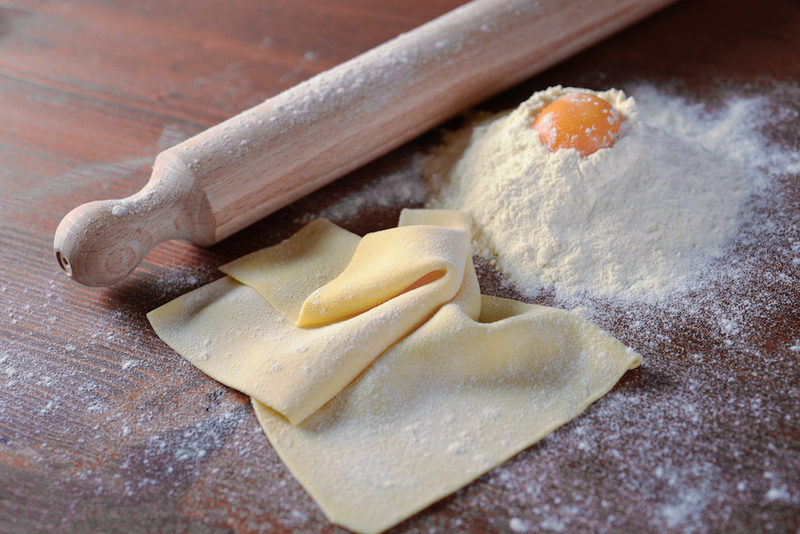 For delicate pasta like tagliatelle, the dough is made with only 2 ingredients: 00 flour and whole eggs. 2. For a heartier, thicker pasta like orrechiette which needs more shaping, she uses a simple combo of semolina and water. 3. A wooden board and wooden rolling pin are best for rolling the pasta dough, because the board creates a coarser dough—ideal for absorbing pasta sauce. 4. The beautiful golden color of Italian pasta is impossible to achieve here in the US—our egg yolks just aren’t the same color as they are in Italy. So a pinch of saffron is added at times to achieve the right color. 5. Play with your flours! Capotondo uses chestnut and chickpea flour, among others, to make pasta. 6. Stand up straight! Correct posture while rolling pasta day-in and day-out is key. 7. Tortellini takes the longest to make. 8. Only some noodles are built for drying. Her favorites to make fresh and then dry are tagliatelle, pappardelle, garganelli and farfalle. She dries the pasta out on a tray for a day, then puts it in a box at room temp for up to a week. 9. Her favorite pasta to make for herself is tagliatelle, which she serves with mussels from Portonovo, extra-virgin olive oil, fresh tomato, garlic and parsley.